The Sterling MX5 bi-amped studio monitor represents the latest evolution in Sterling Audio design, combining top sound quality with next-generation materials that deliver top-class audio quality and features. With dual-axis WaveGuidanceVH technology each bi-amped monitor is built for optimal wider-and-higher frequency dispersion, giving you clear, articulate sound even when listening off-axis. The MX5’s proprietary multi-fiber 5 in. low-frequency driver cone delivers superior damping to minimize sonic artifacts and unnatural resonance and its 4-layer voice coil provides greater motor force for outstanding low-frequency performance. The MX5’s rear-port design reduces low-frequency turbulence and distortion, greater improving the overall low-end delivery. Its 1 in. silk dome tweeter powered by neodymium magnets also give the MX5 monitors a smooth and natural frequency response. Powered by 70 Watts of high-efficiency, low-distortion Class A/B amplification, MX Series monitors deliver best-in-class efficiency and ultra-low distortion and the monitors also include High and Low filters to custom tune monitors to your listening preference and environment. 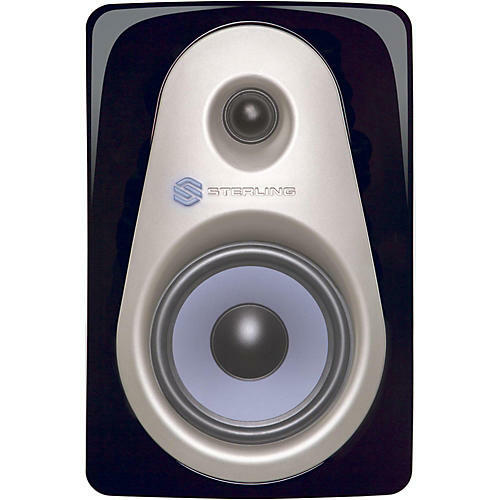 With an elegantly polished ebony finish and blue, backlit Sterling logo, these MX monitors look as good as they sound in any studio environment.